The creature in the pictures below appeared in my sink this evening. Upon spying it, I was immediately taken aback, because it evaded my attempts to identify it. It greatly resembles a dillapede, and all I can say at this point is it is an invertebrate. It exhibits attributes of being an insect, except for the most obvious fact that it has way more than just six legs. And no, it’s not a caterpillar, because all those spindly appendages are most certainly legs. 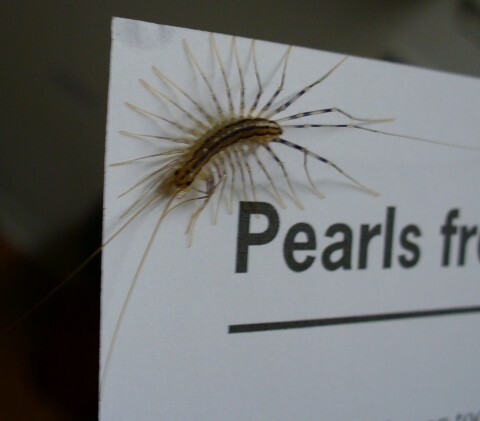 But neither is it a millipede or centipede, at least not according to appearances. I escorted it outside, but not before taking some pictures. If you can help me identify this creature, please comment! I am most anxious to know what it is. 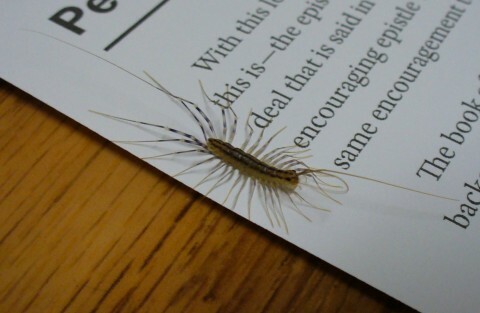 UPDATE: Upon consulting Wikipedia, it turns out this critter is a centipede after all, of the order Scutigeromorpha (see Centipede article). Learn something new every day! EWWWWW….hahaha….I would have been taken aback for far different reasons. Did Wikipedia mention if this fella is poisonous? 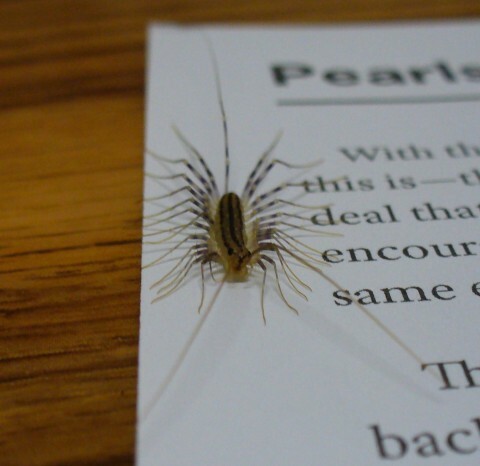 Well, if I understand correctly, all centipedes are venomous, but that’s kind of like saying all spiders are venomous—it’s true, but that doesn’t mean that they’ll bite you or that you’ll die if they do.